Limited edition! These beautiful skirt styles flatter every body type & look amazing with your black corset. Ready to book a fitting now? Styled here for Halloween with a lace bunny mask & a one off gothic silver Wrap. 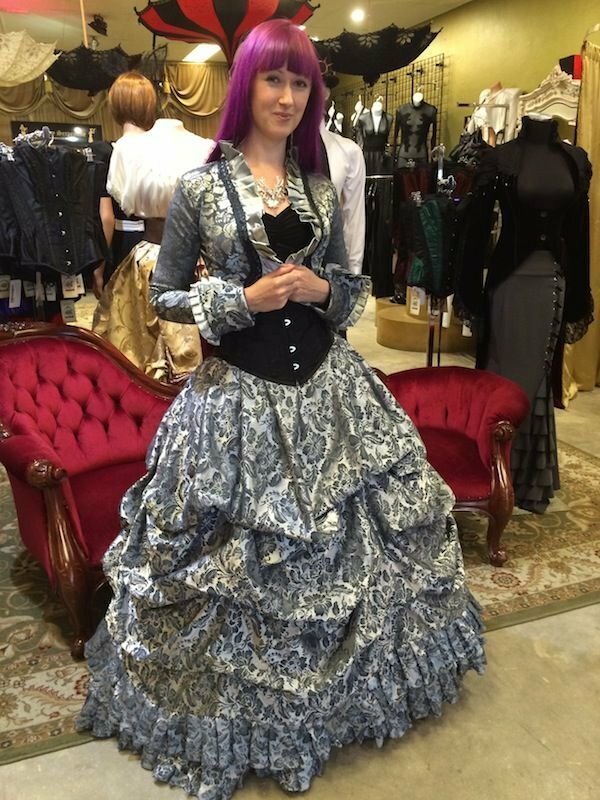 Wearing it with one of our black Underbust Victorian corsets will give you stunning shape and allow you to dance all night. 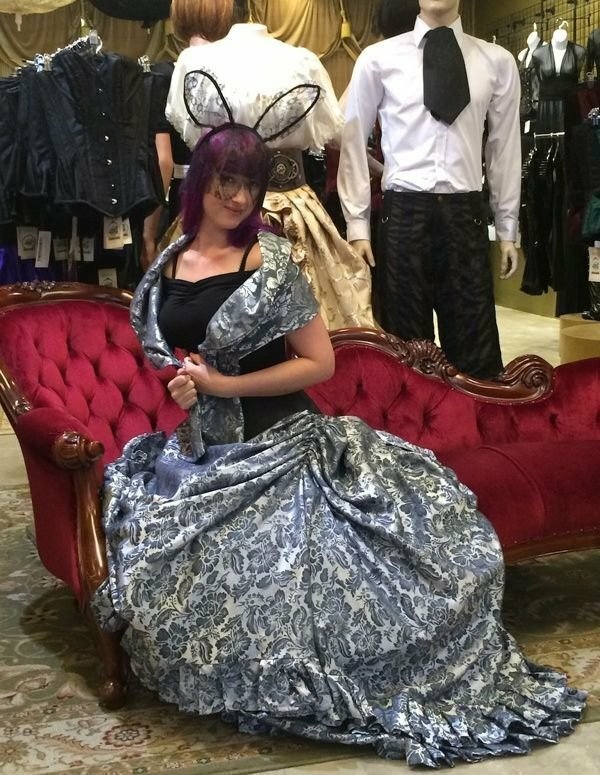 A Beautiful gothic victorian skirt set with Tudor styling. 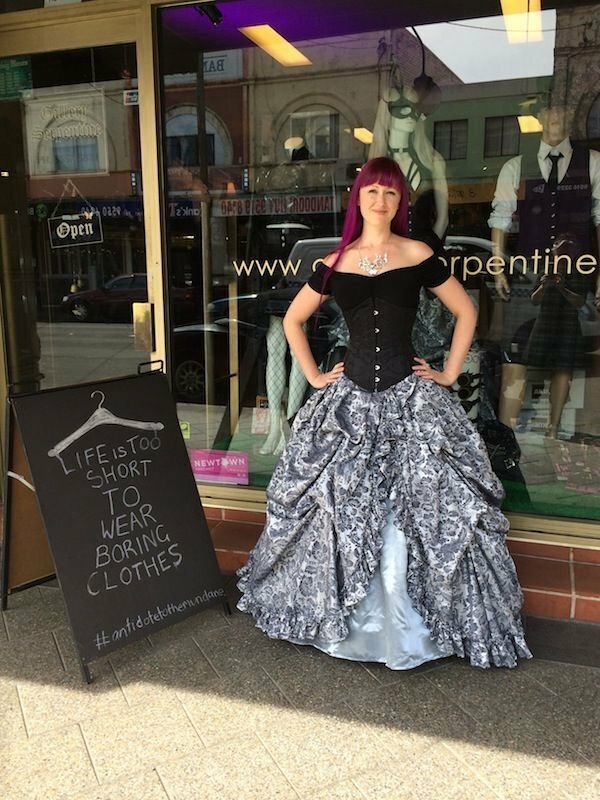 A boned crinoline hoop skirt underpins the style giving it a wonderful shape that's easy to walk & dance in. 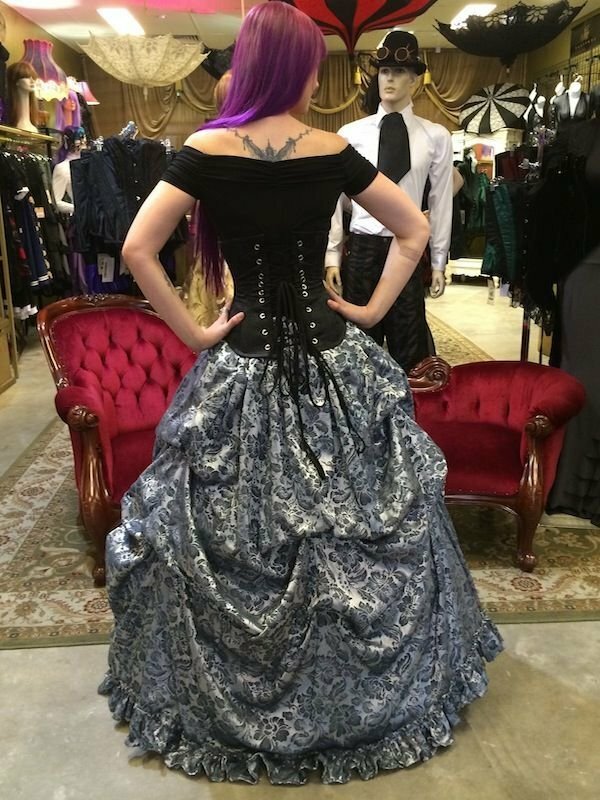 Matching it with a simple black corset, either underbust or overbust will give you a dramatic waistline. See it in action in this video! Can you imagine yourself in this style for your next epic event?